Horst Hörtner, Director of the Ars Electronica Futurelab since 1996, gave the keynote lecture at the opening of The Future of the Lab at BALTAN Laboratories on November 30, 2009. His was a personal interpretation of the roles and strategies of the lab of the future, based on his extensive experience over the last 10-15 years, during which time the world of media creation has drastically changed. Looking back, he noted that at first, there were no specifically trained media artists as such. These creators came from a wide variety of backgrounds and experiences. Over time, the availability of tools increased, and creators and artists began popping up who could handle these tools like musical instruments. In addition, both in educational and lab settings, the interdisciplinary approach to art and technology, and the work of interdisciplinary teams created specifically around projects for short collaborations, has also increased. As stated by Zachary Lieberman, “the DIY approach has now become the ‘do-it-with-others’ approach”. So how does this trend affect the role of the media lab? How do we cope with the decreasing need for technical infrastructure, something the early media labs provided? Are open collaborative communities online the new media labs? In the future, will everything be covered by the new media creators habitats (online labs)? Will the trendiness of the notion of creative industries require media labs to be measured by economic values of efficiency in the future? In the past, media labs “created the theatre rather than the play”. But these rehearsal stages are now available on the Internet. So what do labs offer now? For Horst, one of the possibilities lies in new converging technologies and the necessary interdisciplinary approaches to these technologies. Media art and design labs have played a very important role in relation to more institutionalised centres for research in this regard. Media art labs support the use of available material to create contemporary statements or raise questions. This need will not disappear and we should not leave criticality to industry. In addition, there is a need for strong exchange of thoughts and topics in an experienced group of people – but this is not fully realisable via online platforms. Media labs do have a key role to play as a platform to foster this exchange, access and context for artists and designers in relation to new technologies and scientific developments. BALTAN Laboratories initiates, supports and disseminates innovative research and development activities in the field of art, technology and culture. A two-year pilot initiative located in the SWA building at Strijp S in Eindhoven, it is a first step towards a broader Art Science Lab in the former NatLab (Philips physics laboratory). 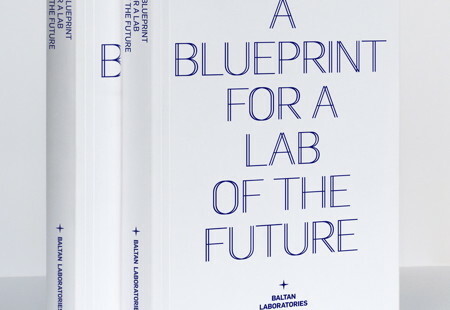 BALTAN Laboratories actively pursues new collaborations between disciplines and acts as point of intersection for artists working with technology in Eindhoven and beyond.